In this style guide I will be pairing up a Melita Latham London backpack with one of the biggest influencers fashion outfits from this year. You may have seen an article recently published in the Daily Star about Holly Willoughby. Holly has most definitely become a style icon of 2018. I feature in this article by the Daily Star commenting about Holly’ style. Holly mixes up high street brands along with designer brands so it is accessible to all to recreate her look. Have a read by clicking on the link below. What inspires me about Holly is that we have seen her on our television screens for a number of years and she has remained grounded. We have also witnessed her become a successful business woman, career woman, mum and wife. All of this whilst living a normal life as she can, in the lime light. Holly is elegant, classy and chic. Brand Willoughby exudes the same ambition that Melita Latham London holds dear, stylish, professional and desirable. Melita Latham London accessories like Holly, can adapt to any fashion outfit. 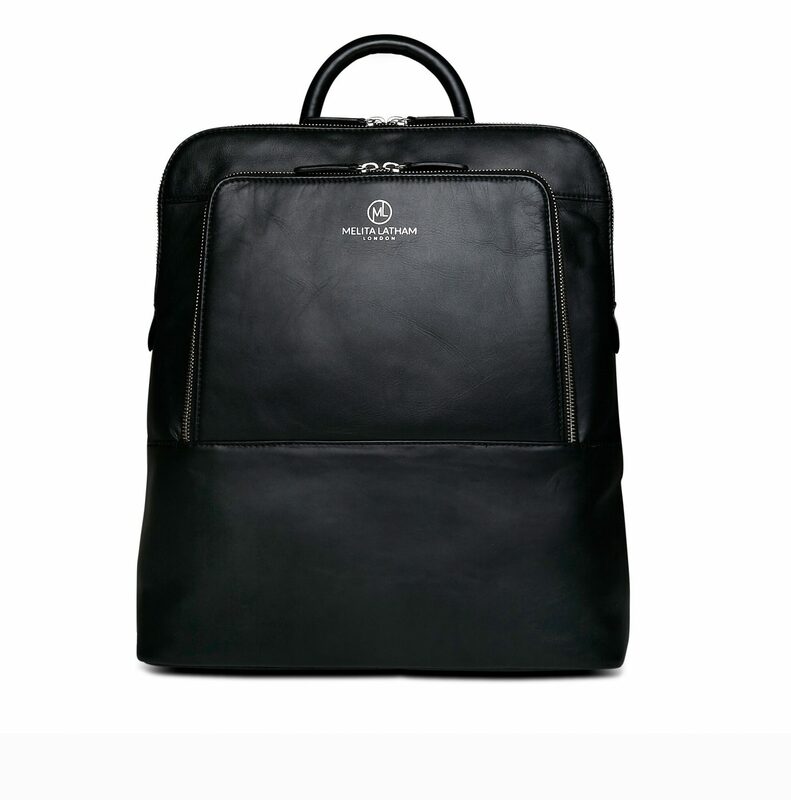 For example: during the week the Melita Latham London backpack houses a laptop, notebook and everyday items even lunch. The backpack can also be easily repurposed to hold disposable nappies, wipes and sudacrem for all those parents out there. It’s stylish, smart and dual purpose. So whether you are heading to the office or heading out to the park with the children this backpack caters for many occasions. Imagine a Melita Latham London backpack with a few of these outfits that Holly has been seen wearing over the year. Beautiful! Another style icon, Meghan Markle oozes elegance and still looks awesome when she is dressing for those casual occasions, We see her in those outfits where she has kicked off her heels having completed her royal duties and put on her trainers. Those days on “Suits” are long gone for Meghan however, she was super stylish then as she is now. Similarly to Holly, everything Meghan wears sells out extremely quickly. It wasn’t so long ago Kate Middleton would wear a dress and it would sell out in minutes. I’m happy to say history repeats itself. Meghan looks fabulous in jeans, a beanie hat and t-shirt and these styles equally look amazing with a Melita Latham London backpack. The Duchess would benefit from having her hands free speaking to Harry on her mobile instead of carrying a handbag whilst on those all important royal engagements or leaving a hand to hold Harry’s princely arm. That’s what I recommend anyway. With Autumn/Winter here, tights, skirts and knitwear, a Melita Latham London backpack is the perfect accompaniment to an outfit whether for work or play. You can purchase your Melita Latham London backpack here:- Melita Latham London Backpack, but be quick…. Please subscribe to my newsletters by entering your email address in the field at the top of the homepage. Thank you for taking the time to read this post and I cannot wait to see what outfits you pair up with your backpack.